Home / Subliminal Programs / Health / BECOME YOUNG AGAIN! This program has been redesigned completely. We retained the key affirmations and added much more powerful affirmations to make it even stronger and more effective. This program is designed to help you get back your radiant skin, look younger and smarter with better affirmations and technologies we developed to help the program deliver the messages even deeper. The track helps you get rid of wrinkles, eye bags caused by aging, fine lines and other physical marks that make you look older. 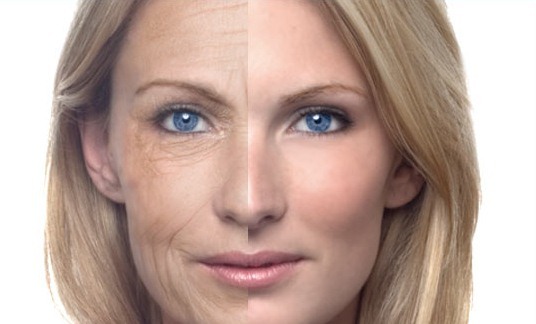 It is obvious that for older people, the program will take longer and you will not end up looking like a teenager, but it does not mean that you cannot look many years younger. This program is designed to be used by people over 40. If you are younger, then there are other programs which may be more useful. The track includes affirmations that target your state of mind to become positive first, then believe you can change. This is to ensure that it takes less time due to lower resistance due to your improved beliefs. Then the main affirmations target your mind to instruct your body to make the necessary changes. The Program mainly focuses on the below mentioned topics. Believe it is possible to make changes to your mind and body at any age. Increase the HGH production optimally without causing any side effects. As you read earlier in the first three parts, we first changed your state of mind and the 3rd and fourth steps are to make the necessary changes in your body. Balance Your Health. (You will notice that your health is becoming better day by day) But if you are under medication or treatment, do not use this program as a substitute for the treatment. Always listen to your doctor first. Unlike the previous program, you can listen to this program for up to 12 hours per day right from the first day. Listen to this track for at least four hours a day for the next 1-3 months. Or if you want super fast results you can listen to the track for at least 8 hours a day , but not more than 21 hours. We can also suggest you to set this program to a comfortable volume and open another tab to listen to any positive and uplifting music you want.